Tuesday, August 8, 2017 1:00 p.m. - 4:00 p.m.
Get the kids outside and have fun this summer. 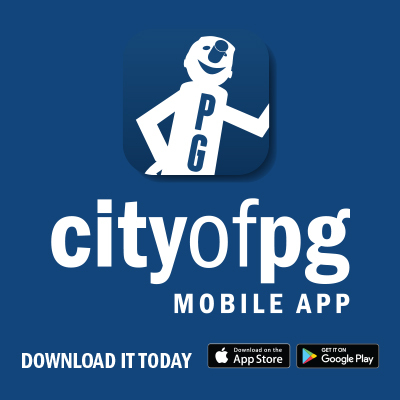 The City of Prince George has partnered with Engage Sport North for the Kids in PG Parks Passport Program. Throughout July and August, Engage Sport North will be hosting free Park Play Days for children aged 2 to 12 years old. Registration is not required. Across a variety of City and school parks, kids will be introduced to fun games, group play and physical activity. 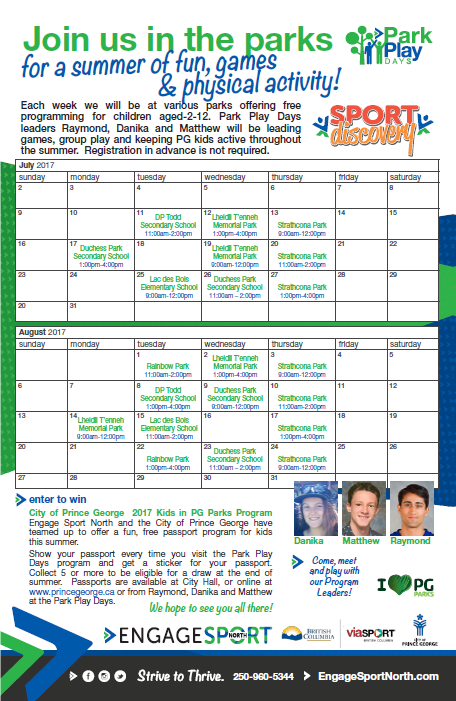 Show your passport every time you participate in a Park Play Days event to receive a sticker. Visit and submit a minimum of 5 Play Days by August 28, 2017 to complete your passport and be eligible for one prize draw entry.